This guacamole dish is ideal to use as a dip for chips, vegetables or as a zesty sandwich spread. Mix in cumin, kosher salt and ground pepper to make this guacamole wild! This guacamole adds a bite to any chips dipped into it and the fresh ingredients really help the spices to stand out. Using a spoon, scoop the avocado pulp from the shells and place it in a bowl. Using two forks, coarsely mash the avocado, leaving some chunks. Add the chile pepper, onion, garlic, tomato, lime juice, cilantro and cumin. Mix again with the two forks, taking care not to over mix. Add the salt, if using, and pepper to taste. Lightly mix again. 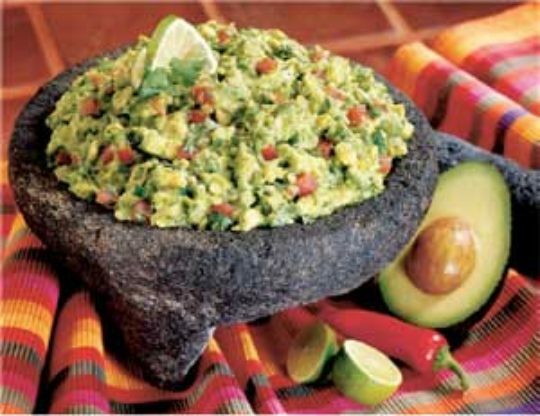 Transfer the guacamole to a serving dish and let stand until ready to serve at room temperature.